At 534 W 26th St.
Mitchell-Innes & Nash is pleased to present the first solo exhibition of Jay DeFeo’s work in New York since the acclaimed Jay DeFeo: A Retrospective at the Whitney Museum of American Art in 2013. Assembling fifty key works spanning the years 1965–1989, the exhibit examines DeFeo’s distinctive exploration of visual vocabulary, rich materiality and experimental process across the media of painting, drawing, photography and rarely seen photocopy works. DeFeo’s diverse and constantly evolving practice extended far beyond her seminal work The Rose (1958–66). Throughout her career, DeFeo consistently blurred the boundaries between abstraction and representation, transcending the identity of the common objects that fascinated her. 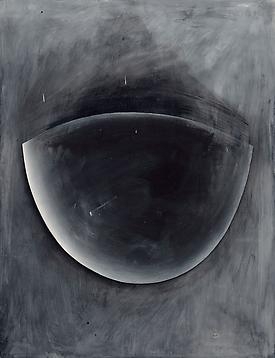 Moving seamlessly between painting, drawing and collage, DeFeo introduced photography into her oeuvre in 1970. In the mid-1970s, the artist began using the photocopy machine as a new type of photographic lens through which she created series of works that defy an accepted understanding of the limitations of the photocopier. As seen in large-scale works such as Tuxedo Junction (1965/1974), surface and texture are of paramount importance in her oeuvre, partly inspired by the crumbling facades found in Paris and Florence, where she traveled early in her career. The densely layered surface of built-up oil paint in Tuxedo Junction is echoed decades later in the wrinkles of tissues pressed against the glass plate of the photocopier as DeFeo investigates texture in two and three dimensions. Jay DeFeo (1929–1989) grew up in the San Francisco Bay Area and attended the University of California, Berkeley, receiving her masters of fine arts degree in 1951. With a fellowship from the university, she traveled in Europe and North Africa in 1951 and 1952, creating her first body of mature works there. Returning in 1953, DeFeo became a pivotal figure in San Francisco’s historic community of artists, poets and jazz musicians. She began incorporating the dualities of representation and abstraction, organic rhythms and geometric form, refinement and expressionism that became distinguishing traits of her art. DeFeo worked with unorthodox materials to explore the broadest definitions of sculpture, drawing, collage and painting. In 1958 DeFeo began working on The Rose, a monumental work created over eight years, with so much oil paint that she called it “a marriage between painting and sculpture.” In 1959 she had a major solo exhibition at the Dilexi Gallery in San Francisco and her art was included in Dorothy Miller’s momentous exhibition Sixteen Americans at the Museum of Modern Art in New York. Ferus Gallery in Los Angeles mounted her next solo exhibit in 1960. In the 1980s, DeFeo returned to oil paint, while still continuing to mix and assemble materials in her work, creating large, glowing canvases and an expansive scope of works on paper. She accepted a teaching position at Mills College, where she became a tenured professor. DeFeo was diagnosed with cancer in the spring of 1988, but continued to work prolifically until just before her death on November 11, 1989, at the age of 60. Join the "Jay DeFeo" conversation on social media by mentioning @miandn or @JayDeFeo and using the #JayDeFeo hashtag when posting. A fully illustrated catalogue will be published to accompany the exhibition with an essay written by Walead Beshty titled “The Ritual of Everyday Life: On the Migrating Objects of Jay DeFeo”. Beshty will give a walk-through of the exhibition on Saturday, May 3rd at 3 pm.